Just in case you missed it at church last weekend, God has opened the way for the Philippines Mission Team to go as planned. The team members are each now fully funded and there is even some extra money to help provide some needed supplies for the ongoing mission there. We have also learned that the political unrest concerns have stabilized and do not appear to pose a risk to the team. However, Melita Root still needs prayer (see the update here) for her persistent and as yet undiagnosed GI troubles. Thankfully, our team will be able to be a blessing to Gary and Melita as well as several other Action International staff who work in the same area. 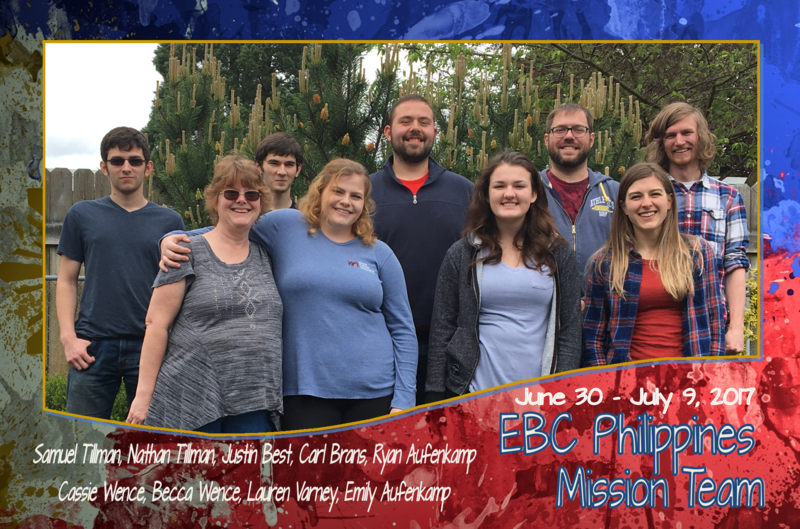 Please be praying as the team prepares to leave June 29! On Tuesday, June 20 we will begin an effort to seal up the exterior of our church building. We will be replacing deteriorating caulk, filling cracks and then repainting all the exterior trim. All the highest work will be done from a lift rented for the occasion, but we hope to do the lower portion with skilled volunteers. Click here to let us know when you can come help. Just stop by ready to help – but contacting us first is much preferred! What about tools? If you have them, please bring a utility knife, caulking gun and a good paint brush. This is going to be fun!